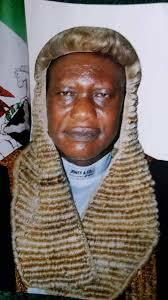 Reports from the Plateau State House of Assembly say the Speaker of the legislative arm, Peter Azi has been impeached. Legislative source, Rifkatu Solomon said the Speaker was impeached during the Wednesday's sitting of the House and was replaced by Joshua Izam Madaki, the representative of Jos East constituency. Similarly, the House Majority Leader, Henry Yilkwap was impeached and replaced by Nanlong Daniel, the member representing Mikang constituency in the House. No details have been received yet on the circumstances warranting the move by the House.